A new club, which aims to help people get back into work, has been launched in Stonydelph. The Work Club, based at the Stonydelph ARCH in Craven, meets every other Monday from 1pm until 3pm. The Work Club is being run by Bromford, which has run other successful schemes across the county. Organisations including the Jobcentre Plus, South Staffordshire College and Next Steps, the National Apprentice Scheme and Age UK are supporting the Work Club, which offers work search help and advices, as well as links to training and other support. Three drop-in sessions have been held since the launch of the Work Club in September, with each one attracting around ten residents. The sessions are open to anyone who is looking for work or training, and referrals or appointments are not needed. The Work Club will give job hunters the chance to meet others who are looking for work, build new contacts, share job hunting experiences and get advice on CV creation, interview techniques and volunteering opportunities. For further information on the Work Club, contact Stonydelph Community Development Officer Neil Mushrow on 01827 709503. Two teams of 60 Staffordshire County Council drivers will be poised and ready to brace the cold weather at a moment's notice in order to keep the road network as safe as possible and on the move. A team of decision makers will also be closely monitoring weather forecasts so that they can act swiftly to combat the wintery conditions. They will be checking predictions on a daily basis to make sure that the most effective and appropriate treatment is put in place. The county council has also stockpiled 30,000 tonnes in salt supply, which equates to 20 days’ worth of continuous action. Parish councils are being encouraged to make use of the salt in their own areas to meet the specific needs of their local communities in the event of persistent snowfall. The highways crews have also been preparing the county council’s ice busting equipment for the arduous task ahead. They have been carrying out rigorous checks and tests on the gritters, snowploughs, loading shovels and weather stations to make sure they are in full working order. The measures all form part of a concerted effort by the county council to be fully prepared in light of recent severe winters and predictions of harsh conditions again this year. Staffordshire County Councillor Mike Maryon, cabinet member for highways and transport, said, "We want to make sure that people can remain on the move safely during the snow season so we have been planning ahead to prepare as best we can for what is anticipated to be another tough winter. "Supplies are at a premium during the winter but we have stockpiled our salt in readiness. Stockpiling the salt - which will last for five years if covered - will help provide a significant buffer zone and we won't be forced to pay inflated prices if the country's reserves run low. "So our focus is on ensuring that we are equipped to cope while delivering maximum value for money. We have also written to our parish council colleagues asking them if they would like to make use of the salt supply to respond to the most pressing needs of their communities. "There are 3,500 miles of roads and pavements throughout the county but with persistent heavy snowfall there are places we simply cannot reach. However, by promoting self-help, encouraging local communities to make use of the salt, we are giving people the opportunity to put it to use where it is most needed. "Some parish councils took up our offer last year and we are hoping more will do so again this year. By working together we can all play our part in keeping everyone safe, especially older and vulnerable people." "Our team has also pulled out all the stops over the last few months to fine tune our equipment for the task in hand and our drivers are primed and ready to be on call around the clock during the winter season, routinely starting work at 4.30am, to make sure that our roads are as safe as possible. Their hard work and dedication is a testament to themselves, the county council and to the people of Staffordshire." The county council routinely treats more than 40% of the road network, which is well above the national average. Tributes have been paid to a popular Tamworth councillor who has died following a long illness. Conservative councillor Sam Munn, who served the Mercian ward from 2004, died on Friday, October 7. He had been suffering from cancer for the past 12 months. Cllr Munn was first elected to Tamworth Borough Council in the 1950s and since then, has been a member of the council for more than 30 years. In addition to his ward councillor duties, he also served the borough of Tamworth as Mayor in 1985. ‘Sammy’ Munn, as he was affectionately known among council colleagues and people within his ward, was a lifelong supporter of Tamworth and was well known and respected by many across the town. Cllr Munn served on a number of committees over the years including being scrutiny chairman between 2004 to 2007. Cllr Oates added, “Sammy was a genuine man who worked hard for his family and the people who elected him onto the council. Nearly every time I spoke to Sammy there would be a display of pride for his family, children and more recently grandchildren, along with pride for his colleagues on the council. “Over the years I recall Sammy's passion coming through as he spoke for what he believed in and the people he represented; whether they were individuals who needed support with a council matter or pushing for communities to be protected against bigger issues such as more housing or flooding. Cllr Munn is survived by his wife Dorothy, daughter Alison and son Nick. The funeral will take place on Friday October 21 at St Editha’s Church in Tamworth. The flag on Marmion House is being flown at half-mast as a mark of respect. The county council's Highways Team is starting works to upgrade the existing signalised junction at Riverdrive and Fazeley Road in Tamworth. The works are due to commence on Monday 17 October for a period of four weeks. The upgrade follows on from a major redevelopment of the road network at the Ventura Park retail site, which the county council also carried out and which included the installation of new traffic signals, road markings and improved pedestrian access. The Ventura Park redevelopment work was carefully coordinated with the help of Tamworth Borough Council with the intention of relieving one of Tamworth’s busiest road networks in order to maximise benefits for shoppers, businesses and motorists. These works will include an upgrade to the existing traffic signalised junction and installation of pedestrian facilities, including footway improvements along Fazeley Road leading towards Ladybridge. Improving road safety is the key factor in this project as a pedestrian fatality occurred at the site in 2009. The upgrade will mean that people who prefer not to use the subway will now be able to walk across Riverdrive safely. The new pedestrian facilities will also help to improve sustainable transport links between the town centre and Ventura Park. During the works, some disruption should be expected with the implementation of a 20mph temporary speed limit to protect the work force. There will be occasions where night working will be required to carry out essential carriageway works. Every care will be taken to ensure sure that work is completed with the minimum of disturbance to the local community but as with any improvement works, some delay may occur. Further information about the works can be obtained by calling the Highways Hotline on 0300 111 8000 (calls will be charged at a local rate) or via email http://highways@staffordshire.gov.uk. To keep up to date with the scheme as it progresses or to find out about future programmed work log onto our Road Improvements page. Tamworth recently lost two much loved and well respected members of both the community and Conservative Party when Ron Ellis and Cllr Sam Munn passed away. Former Mayor of Tamworth and current Borough councillor for the Mercian ward, Cllr Sam Munn, lost his courageous battle against cancer on 7th October aged 81. Sam, who was born in Tamworth, was first elected onto the Borough Council in 1959 and had the honour of serving as Mayor of Tamworth in 1985. After a few years absence from the council he was re-elected in 2004. Both Ron and Sam will be greatly missed and our thoughts are with their families at this sad time. A new initiative to help residents avoid repossessions and evictions has now been launched in Tamworth. The scheme is being provided by the Citizens Advice Bureau and funded by Tamworth Borough Council. The new remote court service was launched this week (Monday October 3) and will be available every Monday between 10am and 2pm. It will be held at the CAB offices at the Philip Dix Centre, Corporation Street. If people have received legal notification of possession or eviction, the service will offer advice and support - along with help to complete paperwork related to any court action. Previously, a similar service was provided at Tamworth Magistrates Court until its closure at the end of September. The ‘Tamworth Court Desk Service’ helped residents avoid repossessions and evictions through advice and practical help. The service can be accessed via a referral from the Council’s Housing Advice Team (01827 709 459). Alternatively people can arrange a self referral by telephoning the CAB for an appointment on 01827 305952. An additional debt and money advice surgery for residents will take place from mid-November every Friday between 10am and 2pm. This will also run from the CAB offices and will provide comprehensive debt and money advice, to help residents out of financial difficulties and prevent people from losing their homes. For further details please contact the CAB on 01827 305952. Tamworth "Gibbs and Canning" Artifacts for sale. 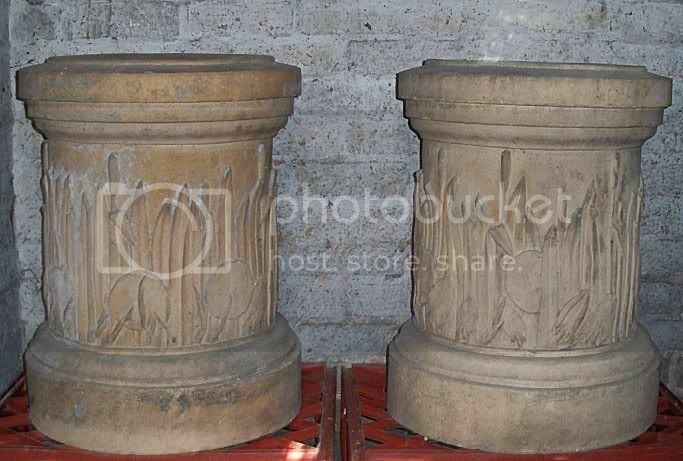 A rare pair of Gibbs & Canning Tamworth garden pedestals have turned up for sale on E-Bay. They are Art Nouveau water lily and bulrush design terracotta and date from the latter part of the 19th century. 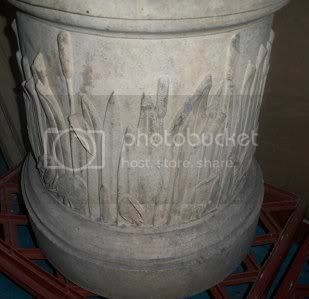 These beutiful pedestals have a starting price of £1000 which puts them well out of My reach which is a shame as I am sure they would look really nice in My garden. Its a lot of money I know but there cannot be many of these wonderful pieces of Tamworths history left and it would be fantastic if they could come back to the town, what a shame that We still havent got a museum where items like this could be enjoyed by everyone. 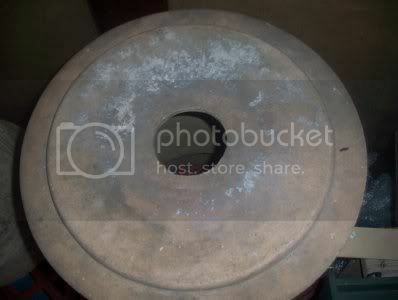 Made at the famous Gibbs and Canning factory at Glascote these items measure just over 26 inches high and the diameter across the top is 20 inches. If anyone does happen to have the odd £1000 pounds to spare the E-bay link is here. Cyclists in Tamworth are invited to get their bikes security marked for free at an event being held on Saturday 1 October. Sarah Wakefield and Karen Mather, from the Tamworth Community Safety Partnership, will be hosting the event along with Dave Owen. The event will take place at Dave Owen Cycles, The Activity Centre, Castle Pleasure Grounds, between 10am and 3pm. 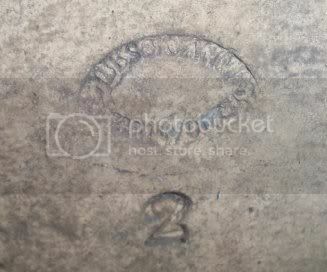 Each bike will be given a unique reference number which is etched onto the frame in permanent ink and then entered onto the Immobilise database. Sarah said: "In addition to the security marking of pedal cycles, we will be talking to and advising youngsters about bike security and personal safety. "There will be an opportunity to register property, including bikes, on the Immobilise National Property Register. This is just one example of the work that the Tamworth Community Safety Partnership carries out in the area." The Partnership co-ordinates and delivers projects on priorities highlighted by local residents. It includes Tamworth Borough Council, Staffordshire Police, Staffordshire County Council, South Staffordshire Primary Care Trust, Staffordshire Fire and Rescue Service and Staffordshire Drug and Alcohol Action Team. Anyone who would like more information on this event, or the Tamworth Community Safety Partnership, can contact Sarah Wakefield on 01785 234652. A number of free children’s cycle helmets will be available on the day - on a first-come-first-serve basis. Staffordshire Safer Roads partnership has teamed up with Michelin Tyres Plc who are providing the helmets. Lichfield District Council this week successfully prosecuted a Tamworth resident for fly tipping in Hopwas. On Wednesday 14th September, at Stafford Magistrates' Court, 57-year-old Patrick Doherty of Masefield Drive in Tamworth was sentenced in his absence for a fly tipping offence. At the hearing on 31 August, the court had heard that a member of the public had seen a vehicle, which is registered to Mr Doherty; dump a load of rubble at Hints Lane in Hopwas in June 2010. Patrick Doherty was fined £5,000 and ordered to pay court costs of £1,666 and a victim surcharge of £15. Councillor Ian Pritchard, Lichfield District Council's Cabinet Member for Housing, Health and Environmental Protection, said: "After a year of work to trace Mr Doherty, it is great news that we have secured this prosecution and that the court took the case so seriously. "This positive result was only possible thanks to a conscientious member of the public reporting the incident and taking the details of the vehicle and registration number. This just shows how important it is to tell the council if you have seen a fly-tipper in action." Dont Loose Your Right To Vote ! Residents across Tamworth are being reminded to return their electoral registration forms – and ensure they don’t lose the right to vote. The forms were delivered to every household in Tamworth in July – a total of 32,000. The annual canvass is a legal requirement and Tamworth Borough Council needs to collect the information every year to make sure it has up-to-date details of residents registered to vote. So far, more than 60% of the 32,000 forms sent out have been completed and returned. The council is now sending out reminders to those who have not yet sent back their completed forms. Anyone who does not respond will be visited in October and failure to return the form could result in a fine of up to £1,000. Completing the form is very simple. If the details are correct, residents can confirm by using the freephone number on the form, by post, online or by posting it back to the borough council. If there are any changes to circumstances, the form needs to be filled in and posted. The form asks residents to confirm who lives at the address and whether those living there would like to be excluded from the edited register. Everyone is included on the full register, which is used for elections and preventing and detecting crime, while the edited register is available for general sale and can be used for commercial activities, such as marketing. The canvass also asks for information about members of a household aged 16 or 17 who will soon be eligible to vote. John Wheatley, Tamworth Borough Council's Electoral Registration Officer, said, "We want to make sure that everyone who is eligible to vote has a voice at elections. Every year we carry out a canvass to make sure we have up-to-date information so residents don't miss out. I would urge people to look out for the forms and return them to the Borough Council as soon as possible." Forms should be returned to the Electoral Services Office, Marmion House, Lichfield Street, Tamworth, Staffordshire B79 7BZ.